D’Anca’s Auto Collision, Auto Body and Classic Car Restorations in Palm Springs understands the art of automobile painting. Whether your auto paint job is part of your body repair work, the restoration of your classic vehicle or simply a change of pace for your car, D’Anca’s has the trained experts, state-of-the-art equipment and the high quality paint products to create a look that will make you the envy of your friends and neighbors. From primer to base coat to clear coat, we have it all. Whether you are looking for solid colors striking metallic or stunning pearlescents, our colors and textures are totally customized to your exact specifications. We understand that desert heat and UV rays can take a toll on the exterior paint of Coachella Valley automobiles, and that is why our glossy clear coat and transparent coatings are made to withstand even harsh Mohave Desert sunshine. Whether you prefer water-based or solvent-based paints, we use only the best in the industry and guarantee your complete satisfaction. Our job is to help you select the products that are right for your important vehicle. Here at D’Anca’s we love to think outside the box and work with our customers to achieve that show room look that will have people asking who did your paint job. 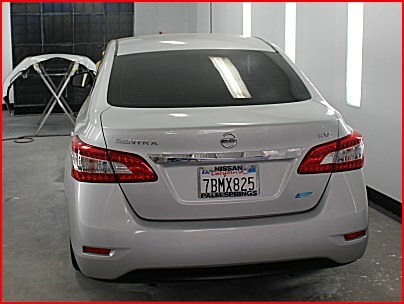 Creativity and unique style define our auto paint department and keep us number one in the Valley. We know you have a mental image of exactly what you are looking for so we take the time to ask questions and understand what it is you have in mind. Here at D’Anca’s we understand that communication is key to pleasing our valued customers.